The forum discussed healthcare reforms and Indonesia's investment dilemma. 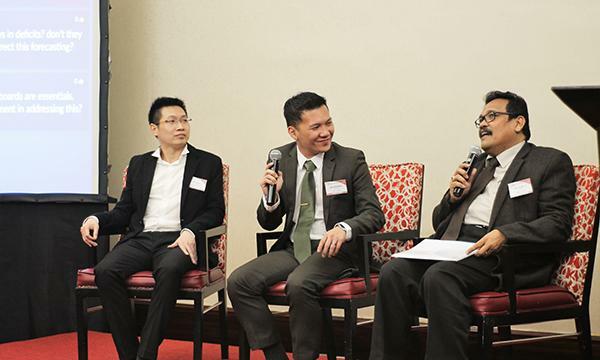 The Healthcare Asia Forum 2018 successfully brought together more than 50 leaders in Indonesia's healthcare industry at the Ritz-Carlton in Jakarta on March 22. Gervasius Samosir, associate partner at Solidiance, began with a presentation on Indonesia's healthcare challenges. He was followed by Ridwan Tjahjadi Lembong, hospital director at OMNI Hospital, to talk about financing a fragmented healthcare market. Dr. Thomas Peter Budisusetija, MARS, CEO at Pantai Indah Kapuk Hospital, then discussed acknowledging the artificial in the healthcare industry. Lembong sat on a panel with Budi Raharjo Legowo, CFO at Siloam Hospitals and Dr. Donals Pardede, MPPM special advisor, Ministry of Health Development and Financing from the Ministry of Health to discuss healthcare reforms in the country amidst rising costs. After the panel discussion, the speakers and delegates were able to network during the break. Dharmais Cancer Hospital, tackled public and private parnership in healthcare development, and Dr. Tiara Kirana, CEO at ADDAM Male's Medical Care, concluded with a session on men's health in the health industry. Dr. Dilawar, together with Dr. Triharnoto, head of business development at Panti Rapih Hospital and Dr. Muhammad Firdaus, SpBS member of PPP Project Committee at Dharmais Cancer Hospital, talked about Indonesia's healthcare investment dilemma in a panel discussion. The Healthcare Asia Forum 2018 will also be held in Kuala Lumpur on April 26 and Bangkok on May 30.